Tough workers require tough work attire to get through the day. These Wrangler Riggs Men's Khaki 3WAC6DK Advanced Comfort Ranger Pants offer unparalleled durability, functionality, and flexibility. These men's dark khaki pants are super durable. Constructed usi ... (see full details) (see specifications) #3WAC6DK. Tough workers require tough work attire to get through the day. These Wrangler Riggs Men's Khaki 3WAC6DK Advanced Comfort Ranger Pants offer unparalleled durability, functionality, and flexibility. These men's dark khaki pants are super durable. Constructed using triple-needle stitching, they're crafted from 8.5-ounce 100% cotton canvas. Cotton canvas is super tough, so you can trust that the pants will last through many rigorous wears. A #5 YKK brass zipper and 3/4” x 2 1/4” belt loops add more Riggs durability you can count on. They feature 7.5-ounce white pocketing, and for an extra punch of durability, the back pockets are reinforced at stress areas and lined with 1000 Denier CORDURA fabric that really stands up to wear. The right front pocket features a patented tape measure reinforcement, too. Reinforced knees mean they'll stand up to tough moves like bending, kneeling, and crawling, and dirt-drop vents help you leave the dirt at work. In addition to long-lasting strength, these men's Advanced Comfort work bottoms are functional, with features to help make your workday a little smoother. They're made with 13" deep front pockets, and the roomy side cargo pockets feature flaps and concealed snaps for secure closure and safekeeping of whatever you decide to put in them. Plus, there's a right-side hammer loop that's perfect for a prized tool. Durability and functionality are essential for working men and so is comfort. These men's Riggs Rangers are equipped with the features you expect - the Wrangler Room2Move® fit, an action gusset, and an improved fit in the seat, thigh, knee, and bottom opening. In addition to classic Riggs features, these Ranger pants feature Wrangler's Advanced Comfort technology system that ensures comfort and even durability. As you move, you'll the 4-way flex for workwear that moves with you instead of restricting you. It adds mobility as you work and this denim last two times longer. Tough jobs require tough pants, so these Wrangler Riggs Men's Khaki 3WAC6DK Advanced Comfort Ranger Pants are the way to go. Order them here at Working Person’s Store today! 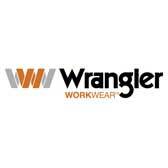 Wrangler Riggs Pants: Men's Khaki 3WAC6DK Advanced Comfort Ranger Pants is being added to your cart.